Vivekanantha Homeo Clinic & Psychological Counseling Centre, Chennai: Suffering from Irregular Menses, is there is any best treatment for irregular menses in Homeopathy medicines at Chennai, Tamilnadu? Suffering from Irregular Menses, is there is any best treatment for irregular menses in Homeopathy medicines at Chennai, Tamilnadu? Question: Respected doctor, am 36 years old married woman, suffering with irregular menses for last 5 years, because of this am gaining weight, and tummy also becomes very big, i have taken many Treatment but no effect, Why irregular menses happens? Is there is any treatment in Homeopathy system of medicines for irregular menses? · Periods occurring infrequently, with time between periods varying from 35 days to 6 months. · It's common for periods to be light and widely spaced when you first start having periods. · Periods also become more irregular as you get older and near the menopause. What if it isn't down to puberty or menopause? If you are worried about the frequency of your periods, you should consult via sending mail to consult.ur.dr@gmail.com . What else can cause irregular periods? · The commonest cause of infrequent periods is a condition called polycystic ovaries (PCOS). · Women with PCOS have a large number of very small (less than 1cm) cysts on their ovaries and a hormone imbalance. 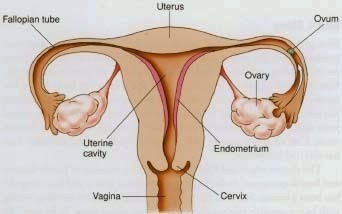 The cysts interfere with regular ovulation and so periods are infrequent. · PCOS is a common condition that affects as many as 10 per cent of women. At some time in your reproductive life, you've probably experienced heavy bleeding during your menstrual period. If you're like some women, you have heavy periods almost every cycle. Menorrhagia is the medical term for excessive or prolonged menstrual bleeding — and for periods that are both heavy and prolonged. The condition is also known as hypermenorrhea. The menstrual cycle isn't the same for every woman. Normal menstrual flow occurs every 21 to 35 days lasts four to five days and produces a total blood loss of 30 to 40 mille litters (about 2 to 3 tablespoons). Your period may be regular or irregular, light or heavy, painful or pain-free, long or short and still be considered normal. Menorrhagia refers to losing 80 mille litters or more of blood during your menstrual cycle. Although heavy menstrual bleeding is a common concern among pre menopausal women, few women experience blood loss severe enough to be defined as Menorrhagia. Treatments and self-care steps may help you. Bleeding from the uterus between menstrual periods is called metrorrhagia. This is a common problem, especially for teenagers and women nearing menopause. If by the age of 16 years menses do not begin than we call it a case of Primary Amenorrhoea and a gynaecologist needs to be consulted. Delayed Puberty: Some girls just take little more time to mature and get delayed onset of menses. It may be considered normal if the menses start Upto 18years. Otherwise the body changes start appearing like growth spurt, breast development and genital hair. Sometime very low weight or dietary deficiencies are also responsible for such delay. Just waiting and improvement in general health status helps in starting the menstruation. · Amenorrhoea is the absence of a menstrual period. · Primary amenorrhoea is when a young woman has not yet had a period by age 16. · Secondary amenorrhoea describes someone who used to have a regular period but then it stopped for at least three months (this can include pregnancy). What are the signs of amenorrhoea? · The main sign of amenorrhoea is missing a menstrual period. · Regular periods are a sign of overall good health. Missing a period may mean that you are pregnant or that something is going wrong. It’s important to tell your health care provider if you miss a period so he or she can begin to find out what is happening in your body. · Amenorrhoea itself is not a disease, but is usually a symptom of another condition. Depending on that condition, a woman might experience other symptoms, such as headache, vision changes, hair loss, or excess facial hair.